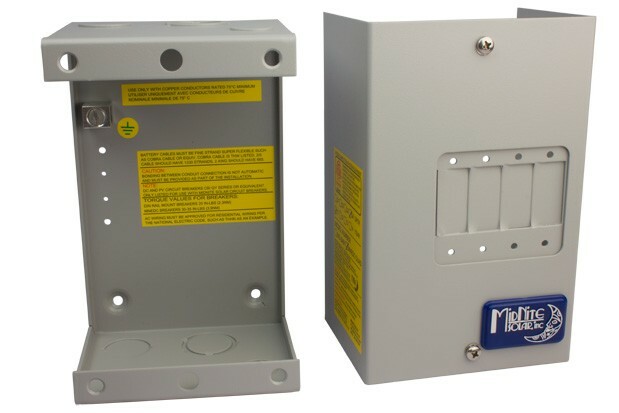 The MNEDC Quad Breaker Box fits 4 panel mount-type breakers from 5-100 Amp. Not recommended for use with cables larger than awg #4 (19mm). This enclosure comes in general use powder-coated aluminum and is listed by ETL for US & Canada. Enclosure for 4 panel mount type breakers from 5 - 100 Amp.